You can use the Data Manager to manage your project database. This is a simple tool you can use to backup, restore, compact, clone, synchronise and copy objects from your project database. Open Insight Launcher by double-clicking the icon or, on Linux, running insight from a terminal. Click Open Project to open an existing project directory (see Opening an Existing Project). This is the project that you want to use in the Data Manager. 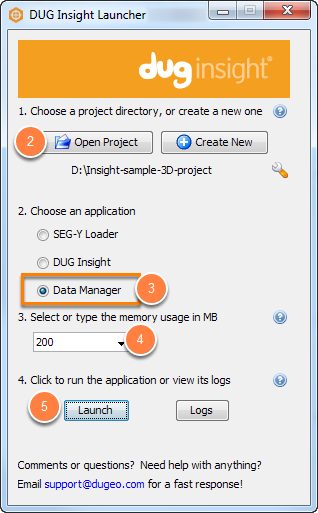 Select the Data Manager application. Click Launch. 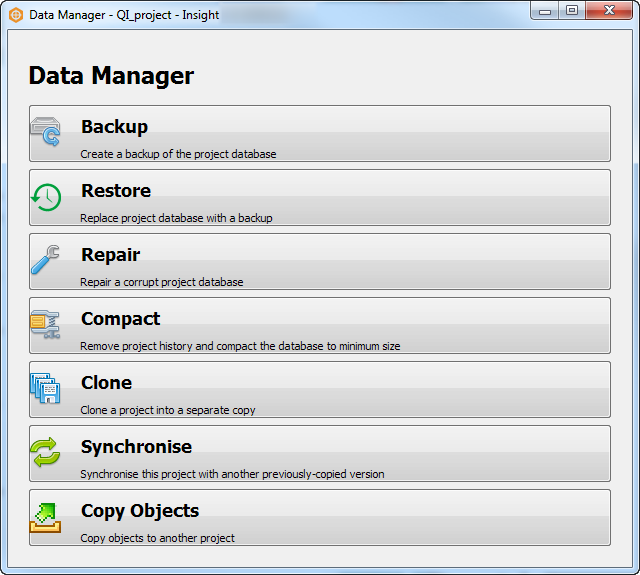 The Data Manager window will be displayed.